This is stunning, shimmery natural blue pietersite! As I worked the setting, I kept looking at the stone and saw a waterfall crashing on rocks below. From there, I added the pebbled rim around the scalloped bezel and the edge was textured and 'rippled'. All designed and created by hand. Get a glimpse of the creative process in the photos! 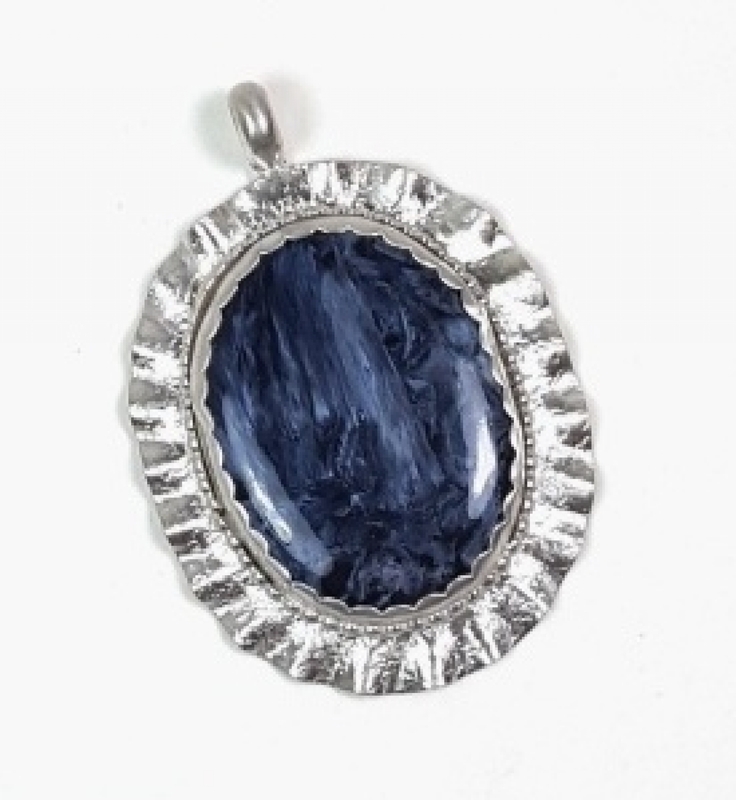 This pendant, approximately 1-1/8 x 1-3/4 inches, comes with an 18-inch sterling silver chain. 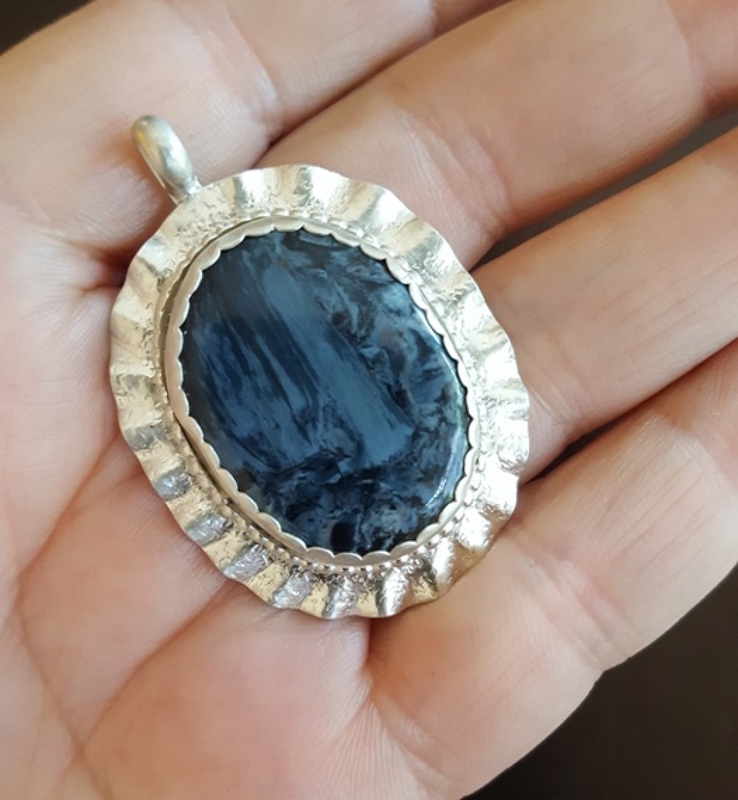 Metaphysical: Blue Petersite is also known as the Tempest Stone, to to invigorate the imagination and to create energy from within to make life's changes; to grow, even to break negative habits. Fits the inspiration for the piece! Making ripples of change! 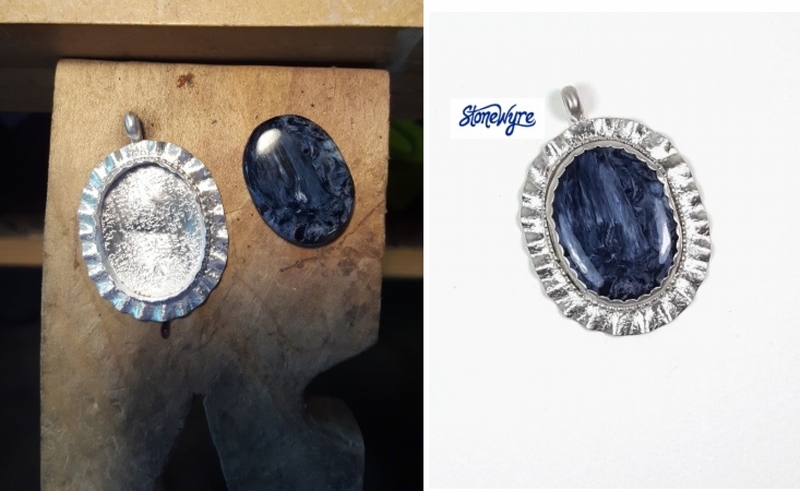 This necklace will come in a gift box--ready to give as a gift---or keep for yourself--and use for storage.We do recommend you store your StoneWyre creations on the box to protect from entanglements and scratches (it's also tarnish resistant).